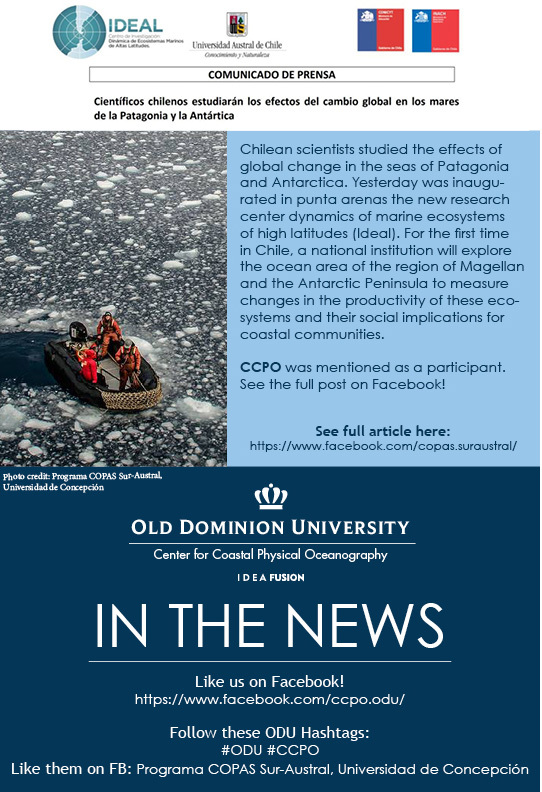 Mike Dinniman, a CCPO research scientist, was acknowledged in the latest issue of Earth and Space Science News (EOS) magazine about his work with the West Antarctic Glacier-Ocean Model Project, a workshop held at the Abu Dhabi campus of New York University last year. See the full article here. 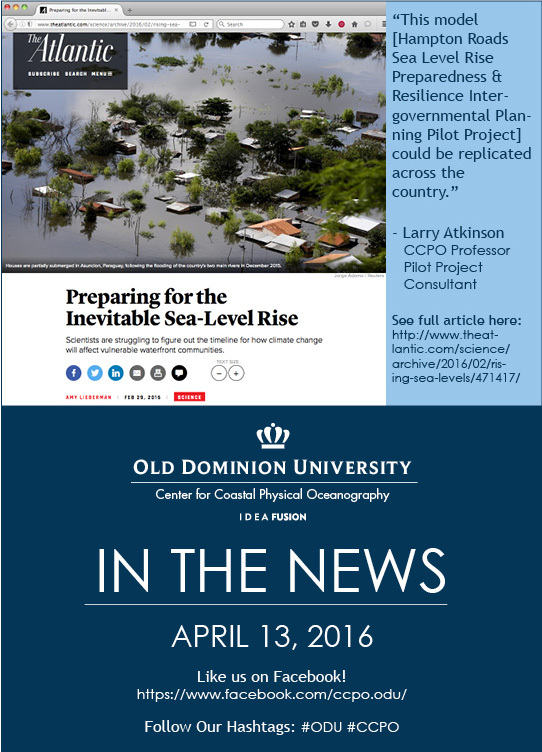 You have likely seen advertising for Old Dominion University's Science Pubs. Yes, Science Pubs means that beer is involved! 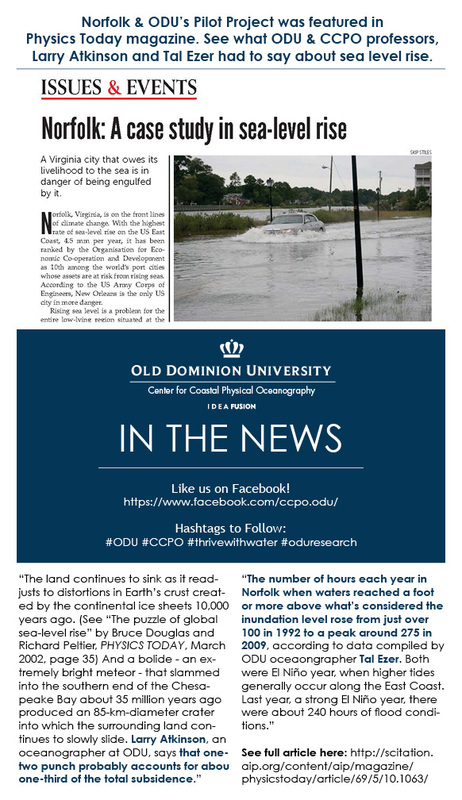 The general public is able to meet with sea level rise researchers from ODU at local pubs to discuss the area's growing concern about the changing climate. 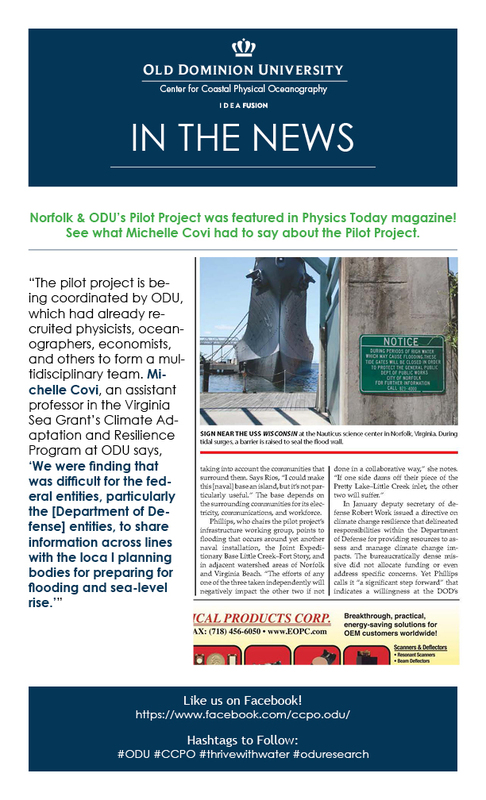 Michelle Covi, Assistant Professor of Practice of the Ocean, Earth and Atmospheric Sciences (OEAS) department at ODU and Virginia Sea Grant Extension Partner for the Mitigation & Adaptation Research Institute, had the idea connecting research to community. These events are unlike seminars or lectures because they have an informal setting and the purpose is to engage with everyday people who want to learn more about adapting to rising sea level. The result is a broad ranging discussion with experts about current problems and possible solutions for locally rising sea level. Local residents were able to meet Dr. Joshua Behr at the first Science Pubs in September at O'Connor Brewing Company in Norfolk. Dr. Behr posed the very real question, "Should I Get Outta Dodge?". He addressed common attitudes and perceptions about severe storms and evacuation which generated considerable discussion. Michelle is working with the ODU Office of Community Engagement and Office of Research to plan the next Science Pubs for the spring semester. Look for the event popping up in Virginia Beach and Portsmouth next semester. Sara is a junior marine science major at the University of South Carolina. Her research project is entitled "Improved estimate of 20th Century Global Mean Sea Level Using Tide Gauge Clustering". Her mentor is Dr. Ben Hamlington. Learn more about Sara and her summer research in the fall issue of the CCPO Circulation. More details of the REU program is provided in the Summer CCPO Circulation newsletter. Jin-Si is a junior geology major at the University of North Carolina - Wilmington. Her research project is entitled "Contribution of Sea Surface Height Changed and Subsidence to Local Sea Level Changes at the U.S. East and West Coasts". Her mentor is Dr. Hans-Peter Plag. Learn more about Jin-Si and her summer research in the fall issue of the CCPO Circulation. More details of the REU program is provided in the Summer CCPO Circulation newsletter. Zachary is a junior meteorology major at Pennsylvania State University. His research project is entitled "Eddy Length Scale in the Ross Sea from Observations and a Model". His mentor is Dr. John Klinck. Learn more about Zachary and his summer research in the fall issue of the CCPO Circulation. More details of the REU program is provided in the Summer CCPO Circulation newsletter. The OEAS summer REU program has begun with 10 undergraduates spending 10 weeks at ODU working with various faculty in the department. Three students are working with CCPO faculty. Sara Doermann, Jin-Si Over and Zachary Wolff are working with Ben Hamlington, Hans-Peter Plag and John Klinck, respectively. Sara is a junior at U South Carolina majoring in marine science, Jin-Si is a junior at UNC-Wilmington majoring in geology/oceanography, and Zachary is a junior at Penn State majoring in meteorology. The students arrived May 26 and are settling into the labs, meeting each other and their advisors, and developing a research plan for the summer. We look forward to hearing about their research successes in the coming weeks. The Research Coordination Network (RCN) program funded by NSF is supporting research on diseases of marine organisms with a focus on the transmission mechanisms. CCPO hosted a workshop May 11-15 on modeling of marine diseases. Over 30 participants discussed various aspects of marine diseases with a focus on withering syndrome in abalone. Several models were provided to the workshop participants as a starting point for modeling diseases in abalone. Workshop participants with expertise in experimental studies of marine disease collaborated with modelers to define and represent host-pathogen processes in the various models. 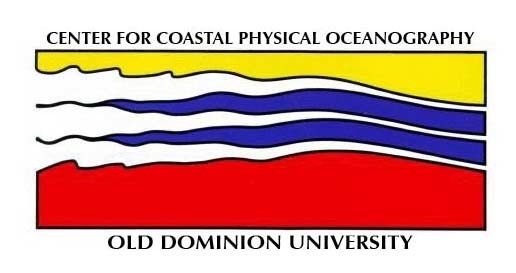 Presentations at the workshop are available on the workshop web pages http://www.ccpo.odu.edu/RCNworkshop2015/workshop.html. Workshop participants are also identified along with various references for marine diseases and model codes. 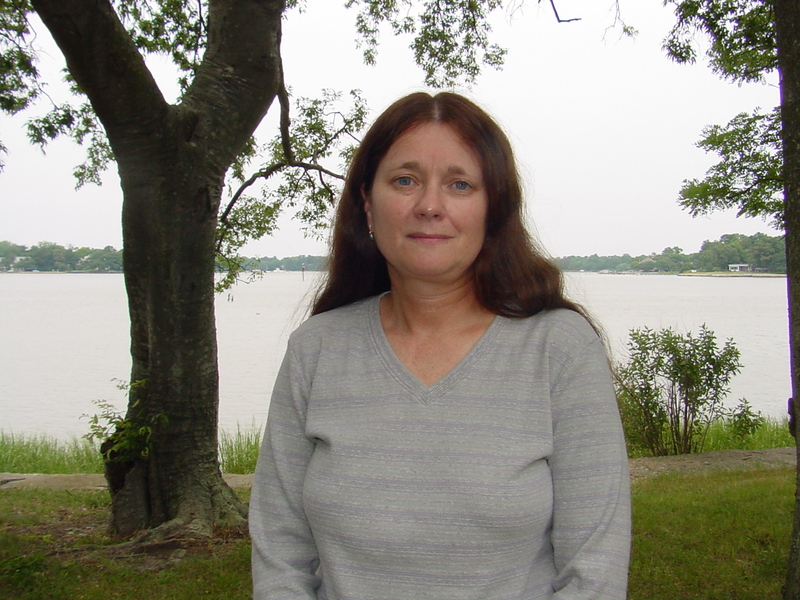 Professor Eileen E. Hofmann has been elected President of the Ocean Sciences section of the American Geophysical Union. Section presidents serve 3 successive terms of 2 years duartion in different capacities. Her 2-year term as President-Elect will begin January 1, 2015. She will continue as Section President on January 1, 2017 and serve as Past-President starting January 1, 2019. Dr. Hofmann has been a member of AGU since 1978. 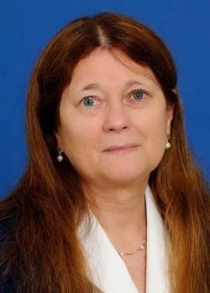 In the past, she served AGU as Ocean Sciences section secretary (1990-1992), member of the AGU Meetings Committee (1994-1998), chair of the Ewing Medical Committee (2006-2008) and member of the Geophysical Research Letters editor search committee (2009-2010). She was designated as Fellow of the AGU in 2013. The Knox Taylor Professor of Geosciences at Princeton University, will give the Ludwick Lecture on Thursday, April 10, 3 pm at the Oceanography/Physics Bldg. Rooom 200. Professor Philander is a world renowned scientist in the field of atmosphere and ocean dynamics, an author of over 100 research papers, a dozen book chapters and books on the El-Niño phenomena, climate change and global warming. "El-Niño's Family Tree" is the topic of tomorrow's lecture. 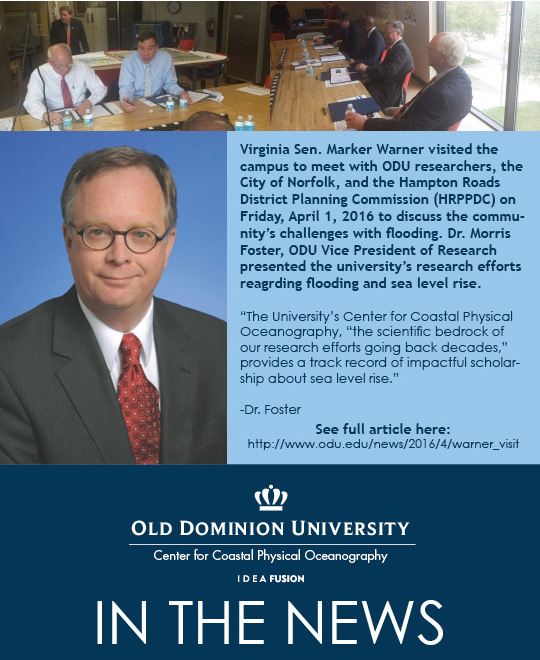 ODU Announcement. Tal Ezer, member of the CCSLRI panel, was a recent guest on WHRO's HearSay with Cathy Lewis discussing sea level rise and how our region's "medically fragile and modest- to low-income" populations are especially vulnerable. CCPO's Dr. Tal Ezer was one of five panelists who spoke during the Sea Level Rise session at an ECOnference at the Constant Center. 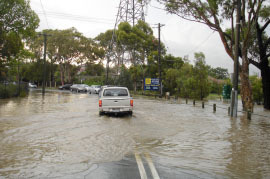 CCPO's Tal Ezer is featured in an article by Climate Central. 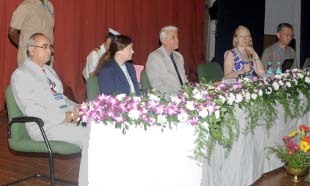 Dr. Eileen Hofmann traveled to Goa, India for the International workshop, "IMBER- IMBIZO III: The Future of Marine Biogeochemistry, Ecosystems and Societies" which was formally inaugurated by His Excellency the Governor of Goa - Shri Bharat Vir Wanchoo. 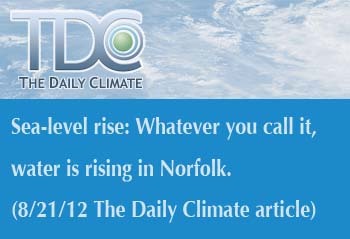 Watch Norfolk Readies for Future Storms, Sea Level Rise on PBS. See more from PBS NewsHour. » One-Third Of Reef-Building Corals Face Extinction. »Read the blogs of John Klinck, CCPO, and Stephanie Hathcock, Education Dept. 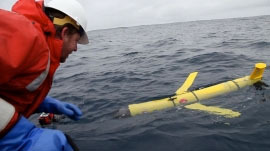 ODU, STEM Graduate Student, as they chronicle their travels to the Ross Sea and work on the PRISM Project, December 2011-February 2012.